CNN today announced the acquisition of the Peabody and Emmy® Award-winning documentary ‘9/11,’ ahead of the 15th anniversary of the attacks on America. The film is directed, filmed, and executive produced by Gédéon and Jules Naudet, French-born filmmakers and brothers, and by retired Manhattan firefighter James Hanlon. The acquisition means that CNN Films will work with the team to update the film for the 2016 edition, and will retain worldwide broadcast rights for the film franchise and its archival material in perpetuity. Award-winning actor, producer, and founder of The Leary Firefighters Foundation Denis Leary will introduce the new anniversary edition of the film, reflecting upon the heroism of the firefighters who responded that day. From the site of the National September 11 Memorial & Museum in New York City that commemorates the fallen, including 343 members of the New York City Fire Department, Leary will recall the bravery and emotions of the events in New York City on Sept. 11, 2001, and beyond. The CNN Films Presents premiere of the two-hour film‘9/11 Fifteen Years Later’ will debut with limited commercial interruption, in back-to-back broadcasts, on Sunday, Sept. 11, 2016, at 8:00pm and 11:00pm on CNN/U.S.. On CNN International, ‘CNN Films Presents 9/11 Fifteen Years Later’ will premiere Sunday, Sept. 11 at 6:00am, with encore broadcasts at 3:00pm and 8:00pm. CNN en Español will broadcast the film on Sunday, Sept. 11 at 8:00pm. All times Eastern. 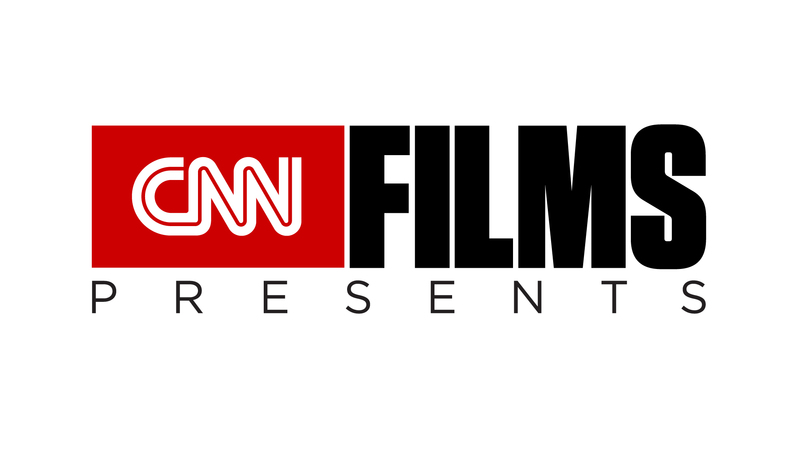 “We are honored that our documentary has found a home at CNN. We hope that the courage and sacrifices of all of New York’s first responders that we witnessed on September 11th will be seen by a worldwide audience as a beacon of hope in the midst of one of the darkest days in our history,” said the Naudets and Hanlon. “Gédéon, Jules, and James have created the defining film of record for this moment in American history, and we are honored they trusted CNN Films to collaborate with them to update their extraordinary work,” said Amy Entelis, executive vice president of talent and content development for CNN Worldwide. “We are also so pleased that Denis Leary will present this remarkable film for our audience; he will bring incredible sensitivity to a heartbreaking story that is ultimately about American resilience,” she said. The Naudets and Hanlon were on hand at the Duane Street New York Fire Department house on the morning of Sept. 11, 2001, to film the training of a rookie New York firefighter, when American Airlines Flight 11 crashed into Tower One of the World Trade Center. One of the only images of that fateful moment of impact was filmed by Jules Naudet, and first aired that evening on CNN. Separated throughout that terrible day, and accompanying different members of the fire company, the brothers continued filming the heroic rescue efforts of the first responders. The film is a gripping, evocative, minute-by-minute account of that harrowing day through the lens of these filmmakers. Capturing the only video from inside the World Trade Center during the attack, Jules and Gédéon kept filming from within and around Tower One during the collapse of both towers. In the update, the filmmakers revisit some of the firefighters and their families, to see how they now reflect upon that day. They introduce us to children and close relatives of the fallen firefighters, some of whom have followed in their loved ones’ footsteps to become firefighters themselves. Daniel Nigro, New York City’s Fire Commissioner, also answers tough questions about his department’s readiness in the event of another massive act of terrorism in this reborn city with so many new highrises, including the freshly completed One World Trade Center (“Freedom Tower”). ‘CNN Films Presents 9/11 Fifteen Years Later’ will stream live via CNNgo on desktop (www.CNN.com/go and the CNNgo apps for iPad, Apple TV, Roku, and Amazon Fire). After the premiere broadcast, ‘CNN Films Presents 9/11 Fifteen Years Later’ will be available on demand via cable and satellite systems and via CNNgo for subscribers. A special video interactive created from raw archival film material will be presented online for “Inside 9/11: The day that never ends” and linked to www.CNN.com/CNNFilms. The exclusive content will present moments of confusion and courage following the terror attacks. A “Where are they now?” section will capture the perspectives of first responders and other eyewitnesses at key moments of the attacks and how their lives were changed by the events. Nancy Duffy, vice president of program development at CNN, Amy Entelis of CNN Films, and Ben Silverman of Propagate Content, are executive producers for ‘CNN Films Presents 9/11 Fifteen Years Later;’ Courtney Sexton, vice president of program development, and Jessica Velmans, senior producer, are supervising producers for the film. The acquisition deal between CNN Films and Goldfish Pictures for this film was negotiated by Stacey Wolf, vice president of business affairs, and Kelly MacLanahan, senior legal counsel, both of CNN, on behalf of CNN Films, and by Ben Silverman of Propagate Content and Lisa Davis of Frankfurt, Kurnit, Klein & Selz, on behalf of the filmmakers.